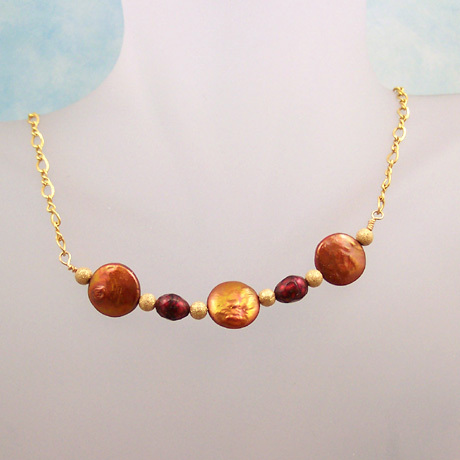 These yummy crab apples will never go bad! 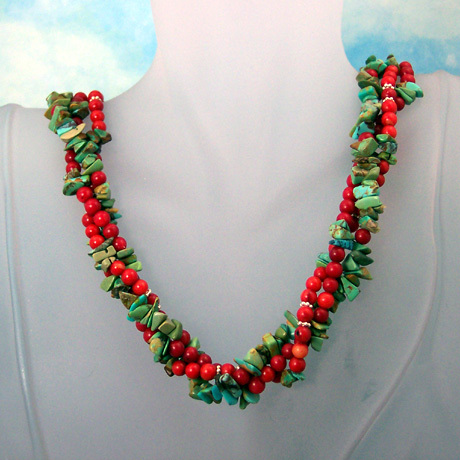 Three strand necklace of genuine Turquoise chips, red Coral rounds and Sterling Silver Bali spacers strung on Silk and finished off with a Sterling Silver Bali "S" clasp. 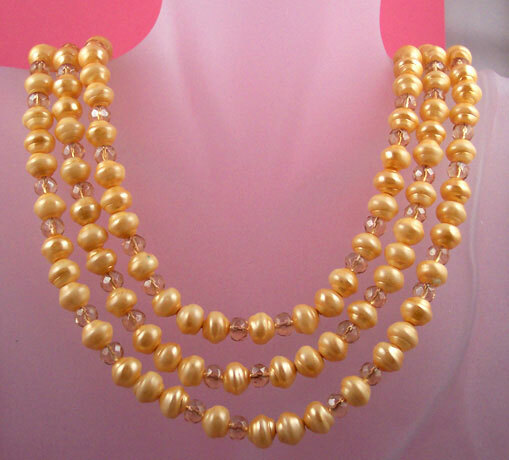 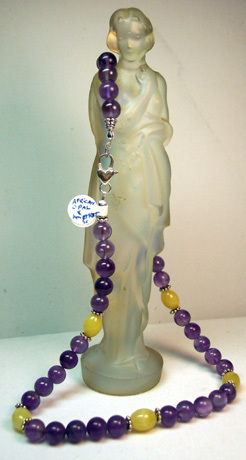 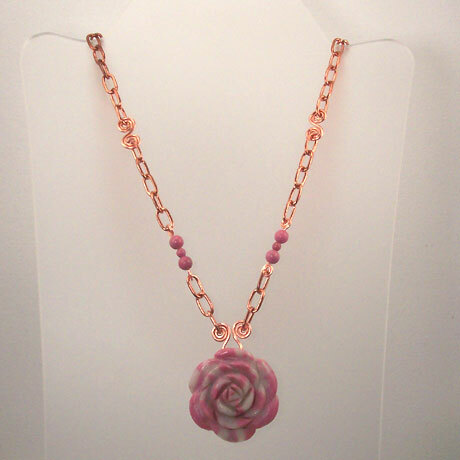 Can be worn twisted or untwisted. 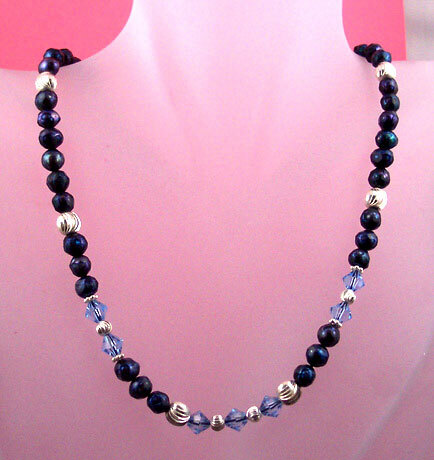 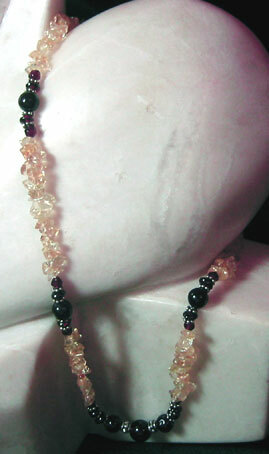 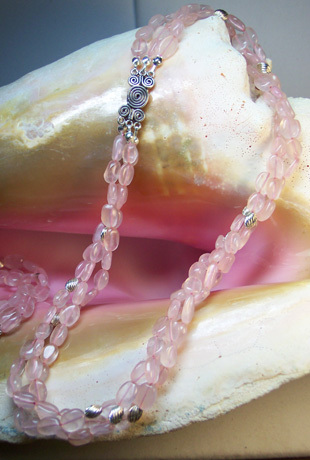 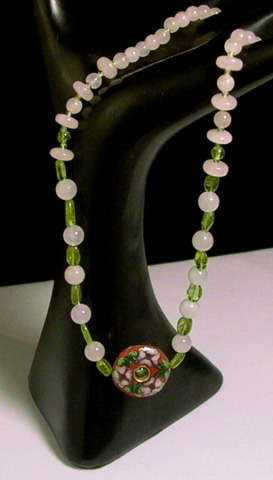 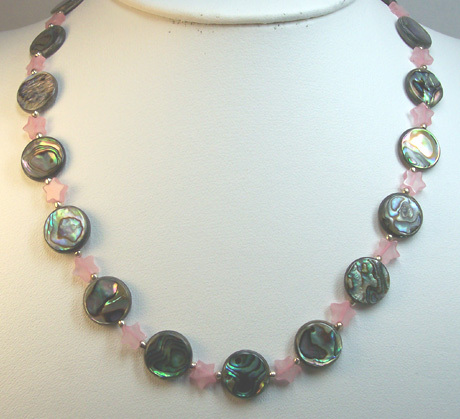 Necklace of Moukaite roses & faceted natural rock crystal round ended off with sterling silver Bali beads caps. 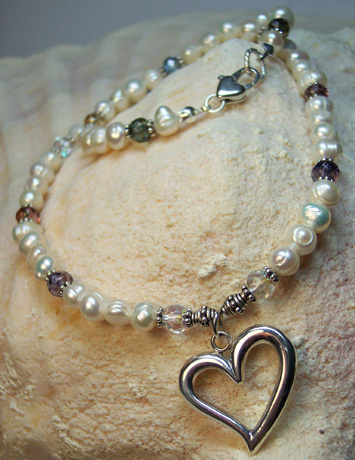 Strung on silk thread & finished off with a sterling silver lobster claw clasp. 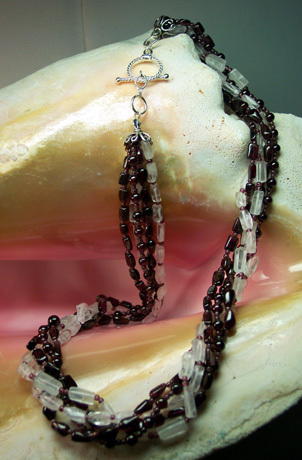 Total carat weight of semi-precious beads is 170 carats. 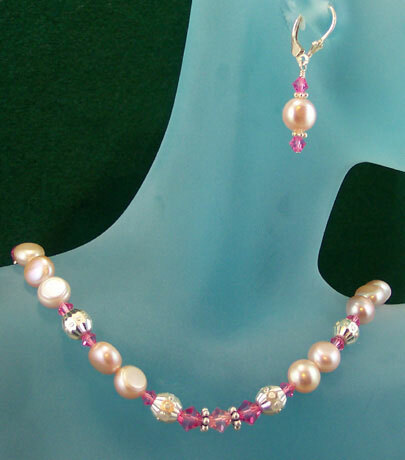 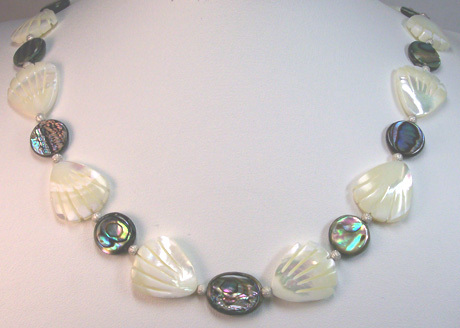 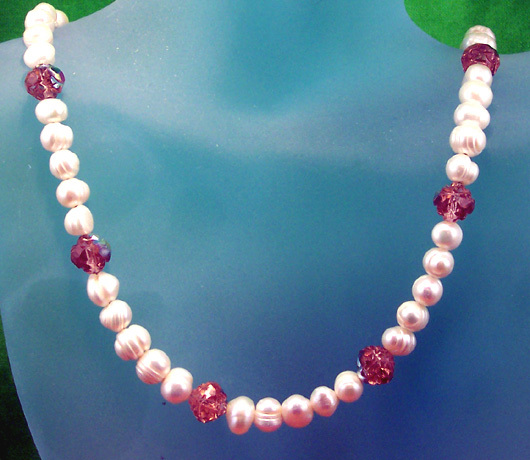 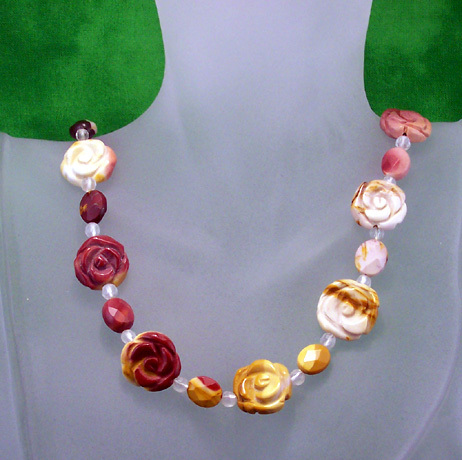 Necklace of Baroque freshwater pearls and Czech Rosaline colored roses of pressed glass. 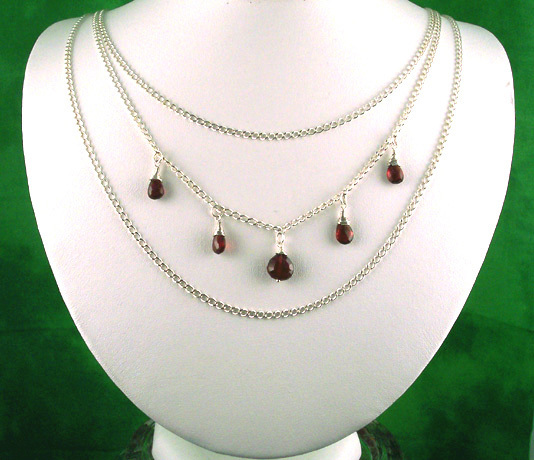 Strung on Accu-flex and finished off with sterling silver lobster claw clasp and 3" extender chain. 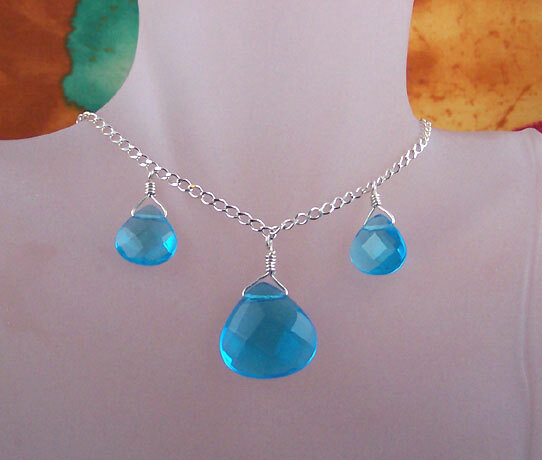 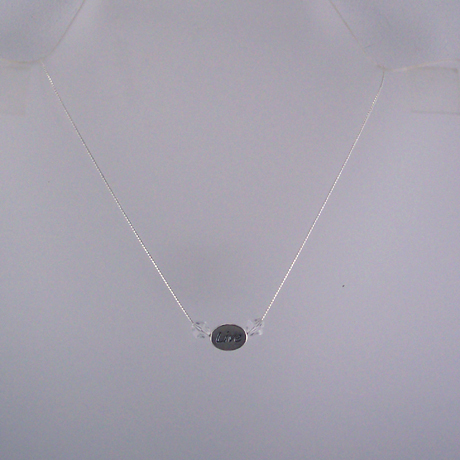 Necklace was designed for women with a very small neck. 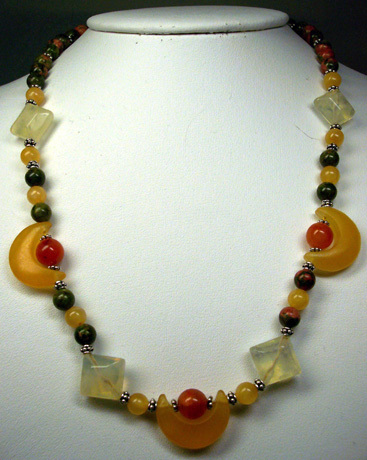 N0080 - Wild Prairie Rose - 18"
N0034 - Black Onyx Elegance - 36"
N0124 - Tangerine Moon - 18"